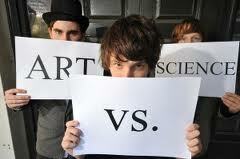 Management as an art or science or a combination of both, let’s see the words ‘SCIENCE’ and ‘ART’. A science can be referred to as knowledge about the structure and behavior of the natural and physical world, based on facts that you can prove. This can be done through experiments. Hence, predictions can be made from such experiments. ART on the other hand can be seen as a skillful way of doing things. Not only that, future productions and sales are also forecasted which are all related to science. Certain decisions are made through the use of statistical tools like the chi-square, regression equations, partial correlation, Mann-Whitney test and so on which are also known all over the world as scientific tools. Science may be described as a systematized body of knowledge based on proper findings and exact principles and is capable of verification. It is a reservoir of fundamental truths and its findings apply safely in all the situations. In this sense, management is a science as it has also developed some systematized knowledge. Like other sciences, management has also developed certain principles, laws, generalization, which are universal in nature and are applicable wherever the efforts of the people are to be coordinated. But management is not as exact science as other physical sciences like physic, chemistry, biology, astronomy etc. The main reason for the inexactness of science of management is that it deals with the people and it is very difficult to predict their behavior accurately. In this way, management falls in the area of ‘social sciences’. Thus, it is a social science. From the above study, we conclude that management is an art and science both. According to American Society of Mechanical Engineers. “Management is the art and science of preparing, organizing and directing human efforts to control the forces and utilize the material of nature for the benefit of men. Accounting solution in NEW THREADING CO.